Stella Glow marks the final release for the beleaguered Luminous Arc and Sands of Destruction developer Imageepoch, which filed bankruptcy earlier this year following the mysterious disappearance of the company’s CEO, Ryoei Mikage. Ironically enough, the studio’s swansong just so happens to be a fittingly musical adventure that refines the elements from the developer’s previous releases, resulting in what arguably stands as Imageepoch’s SRPG magnum opus. The story of Stella Glow is set against the backdrop of a world where the power of magic has been sealed away for a millennium following humanity’s war with the angels. 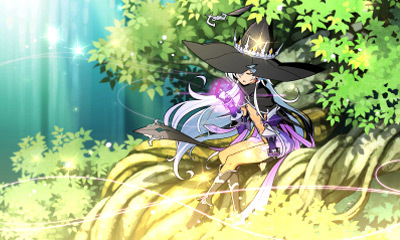 Rather than conjured through wands or esoteric incantations, magic in Stella Glow‘s world is performed through song. When the game’s young hero Alto embarks on a hunt in the forests of his hometown, he stumbles across a mysterious woman singing in the forest. 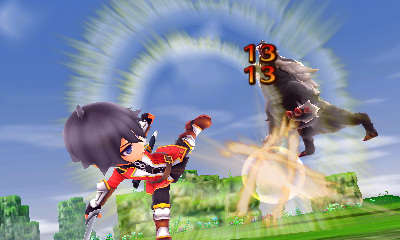 Shortly after their chance encounter, the shadowy woman and Alto are attacked by a pack of monsters. It’s during this melee that Alto discovers his newfound companion is far from a damsel in distress, but rather an immensely powerful witch – Hilda, the Witch of Destruction. Of course, no good deed goes unpunished. Shortly after the two are introduced, Hilda and her Harbingers (the Witch’s loyal guard who seek to demolish the world in order to save it, because RPGs) lay waste to Alto and his childhood friend Lisette’s peaceful hamlet by casting the Song of Ruin, a spell that encapsulates the entire village’s population in shards of cold crystal. Just as Alto is almost killed, Lisette is suddenly transformed into the Water Witch, saving the duo’s skin and forcing the Witch and her minions into a hasty retreat when the pair are joined by a squad of heavily-armed knights, who whisk Alto and Lisette away to the capital city of Lambert. It’s here in the capital city that Alto and Lisette are introduced to the elite Regnant Knights 9th Regiment. The group is tasked by Queen Anastasia with uniting the four elemental Witches and stop Hilda and her Harbingers from crystallizing the entire world with her destructive Song of Ruin. After a brief training battle, Alto joins the 9th Regiment and sets off on his noble quest. If you’ve ever played a strategy RPG before, you’ll feel right at home digging into the heart of Stella Glow‘s grid-based skirmishes. Battles unfold in typical turn-based fashion, as your party and hordes of enemies maneuver around the map in an elaborate digital chess match. Melee fighters such as the game’s sword-swinging hero Alto and the katana-wielding Fire Witch Sakuya are effective at pummeling enemies up close with their swords, while the regal Knight Captain Klaus is able to skewer enemies from two spaces away with his spear. 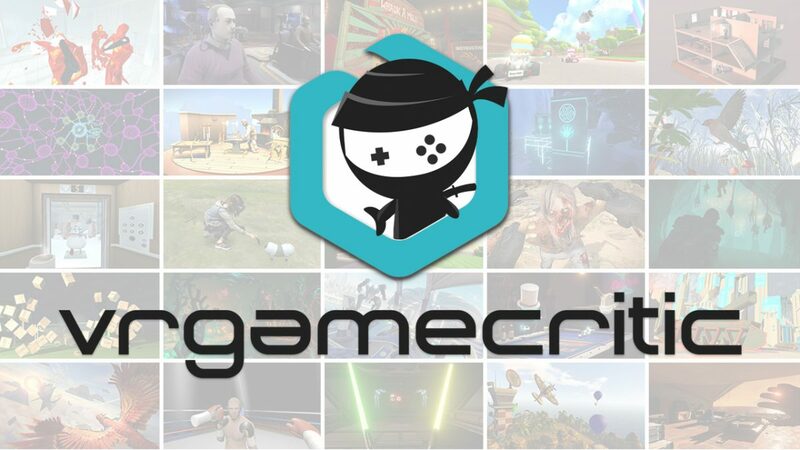 Other characters, like the crafty merchant-turned-sharpshooter Ewan and the Wind Witch Popo can peg baddies from great distances with rifles and bows, making them key assets for picking off enemies from across the battlefield. While this is all pretty conventional to anyone who’s cut their SRPG teeth on games like Luminous Arc, Disgaea and Final Fantasy Tactics, Stella Glow does do some neat tricks to spice up these encounters when it comes to the game’s use of Song Magic. It’s unsurprising that Witches can make use of elemental attacks, but when Alto gains the ability of a Conductor it opens up new and interesting abilities that can quickly change the flow of a battle through the use of powerful songs, which can have lasting effects on the entire battlefield. 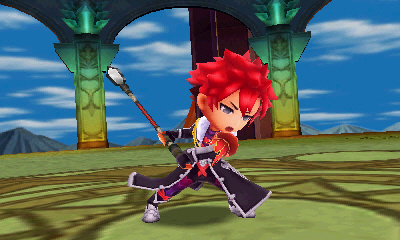 Simply put, the combat in Stella Glow feels fantastic. Battles progress at a brisk pace, and your party’s varied cast of characters all bring unique and exciting abilities to the battlefield. From the heavily-armored Knight Archibald’s ability to defend adjacent allies with his tower shield to the cocksure rogue Rusty’s diverse blend of up-close melee onslaughts and long-distance dagger throws, each character offers a wealth of options to take advantage of in the field, leaving lots of room for experimentation. Enemies are also quick to descend on wounded characters or make clever use of the varied terrain to gain a tactical edge against your army, which makes combat consistently engaging throughout the game’s roughly 40-hour adventure. When you’re not bashing monster skulls and dueling with the murderous Harbingers on the battlefield, you’ll spend plenty of time soaking up the sights and sound in the capital city of Lambert on your downtime. This is where Stella Glow‘s “Free Time” feature comes into play. In-between missions Alto will have chance to perform a set number of actions outside of the main story. These actions range from hobnobbing with your allies in the barracks to build up your social links (not unlike the system found in Persona 3 and 4), which in turn unlocks new abilities for your squad. More than simply a tool for upgrading your party members, these dialog sequences also work to expand on each character’s backstory, and the relationships you build will factor into the game’s multiple endings. In addition to visiting the barracks, you can also scour the town for tucked away items, and even pick up a part time job at Lambert’s local business which, when performed regularly, can pad your pouch with extra gold and yield additional discounts at the game’s shops. Remember kids, hard work pays off. After Alto gains his powers as a a fabled Conductor, he’ll gain access to Lambert’s Tuning Hall. Occasionally, your party’s Witch’s hearts will become ensnared in shadowy chains, making it impossible to increase your social link with them until you dive into their heart and “tune” them. Once you choose a Witch to tune you’ll then venture into their subconscious and battle it out against their inner demons. 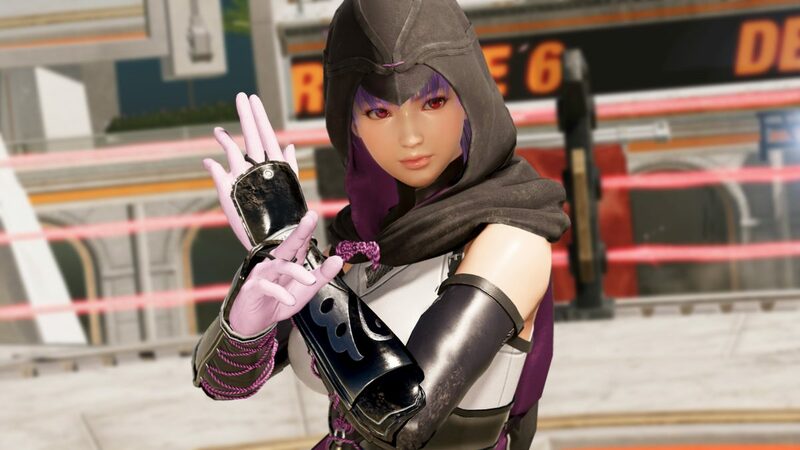 These fights offer a substantial challenge, but reward players by unlocking some of the game’s four magical heroines’ most powerful abilities, which are a vital tool to surviving some of the game’s more punishing encounters with the Harbingers. Stella Glow‘s story unfolds in vibrant visual novel cutscenes, which feature a surprising amount of very solid voice voice acting. 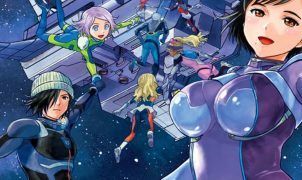 Though the game’s story of saving the world from destruction at the hands of a group of zealous fanatics isn’t without its share of tropes, the writing itself is largely very clever, and the game’s stable of characters is exceptionally likable. 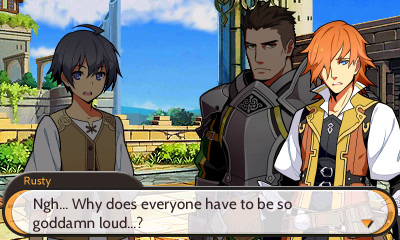 From the incessantly snarky Regnant Knight Rusty with his constant wisecracks, to the buxom shinobi Nonoka, who thinks her utter lack of clothing and paper bag-clad noggin make her utterly inconspicuous to would-be assailants, the cadre of characters you’ll meet over the course of Stella Glow’s adventure proves to to be one of the game’s finest features. I found myself just as engaged with building up my relationships with these characters to learn their backstories as I was with waging war against the forces of evil, which is a true testament to the world Imageepoch has created. Legendary video game composer Yasunori Mitsuda has carved quite a few notches in his belt when it comes to crafting incredible RPG soundscapes. 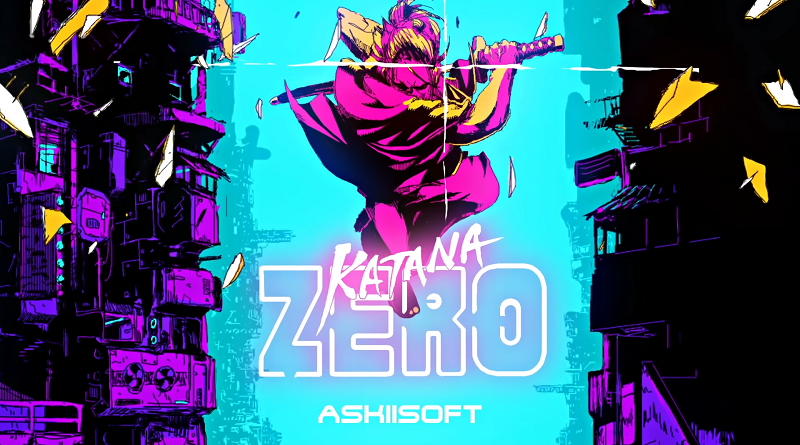 Beginning his career with the phenomenal score to Squaresoft’s masterpieces Chronic Trigger on the Super Nintendo and later Xenogears on the PlayStation, Mitsuda has crafted some of the most memorable soundtracks to grace the role playing genre. Stella Glow proves to be yet another high point in the accomplished musician’s video game career, with a score that’s filled a variety of haunting melodies, upbeat anthems and heartfelt compositions that really sell the action on screen. From the pumping war marches to the varied and moving songs of the Witches themselves, Stella Glow‘s soundtrack is an incredible and memorable experience in and of itself, making that sweet Launch Edition soundtrack a smart purchase for anyone considering picking this up – and pick it up you should. While the soundtrack is certainly stellar, Stella Glow’s graphical chops are top notch as well, simply popping off the 3DS’ dual-screens. Alto and his companions will venture over a wide variety of locales on their quest to defeat Hilda and save the world, and each of these environments looks unique and is exceptionally detailed. From light shimmering though the canopy in woodland battlegrounds, to the majestic crystalline terrain of a Harbinger-ravaged desert warzone, Stella Glow consistently manages to impress with its vibrant and varied visuals. This level of carries over to the attacks themselves, which are all superbly rendered with fluid animations and tons of flash. Just wait until you see the Witch’s most powerful Song Magics, and some of the more over-the-top melee attacks that send enemies hurtling into the stratosphere. 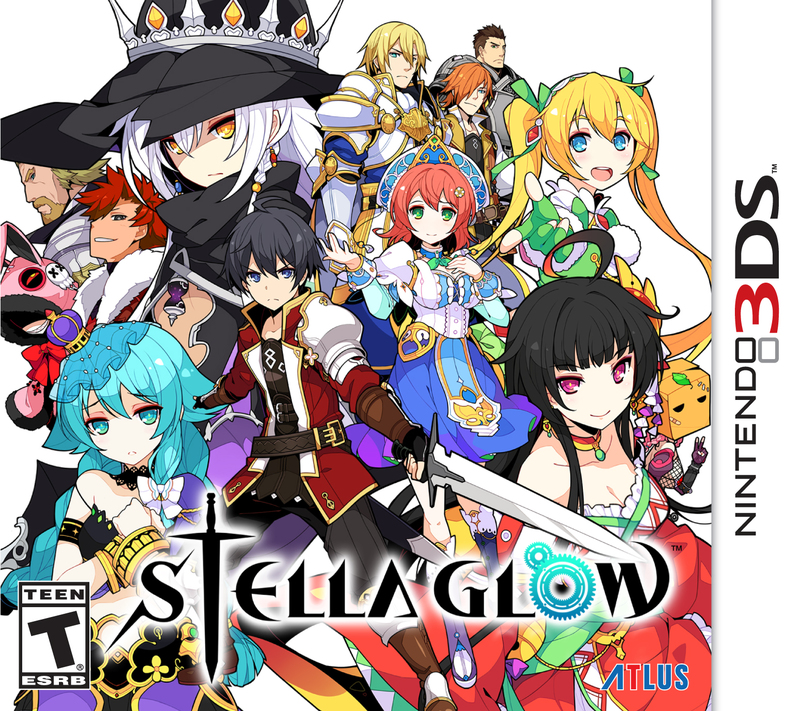 If you’re a fan of strategy RPGs, you owe it to yourself to pick up Stella Glow. Imageepoch’s final adventure is an incredible adventure and an obvious labor of love from start to finish. While the title certainly doesn’t reinvent the wheel, it does enough to stand out from the pack with its unique and interesting Witch Tuning system and wealth of things to do, both on and off the battlefield. It’s truly sad to see Imageepoch go, but at least the studio can close their doors knowing that their swansong will resound as one of the most finely-tuned role playing epics in recent memory. Here’s hoping that with some luck this isn’t the final curtain call for what could become a truly bewitching SRPG series. Full disclosure: This review is based on a review code provided by Stella Glow’s publisher, Atlus.